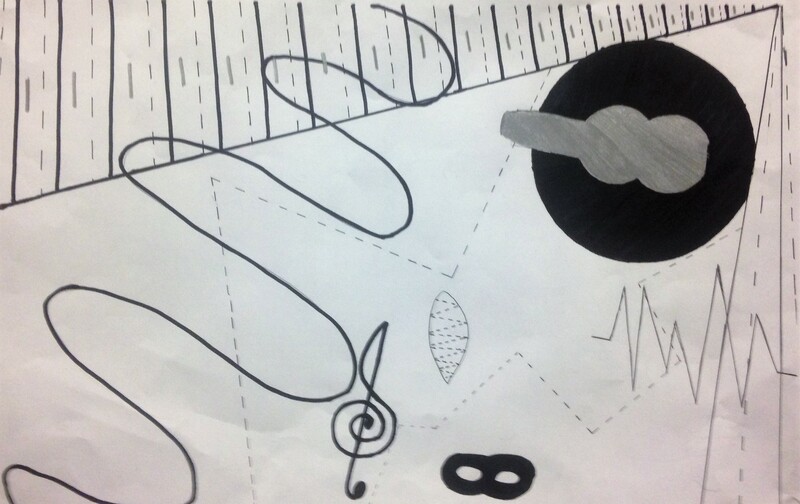 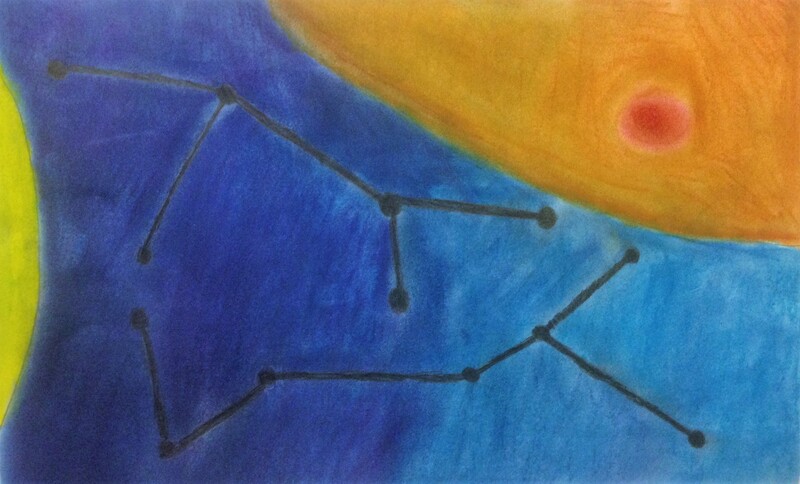 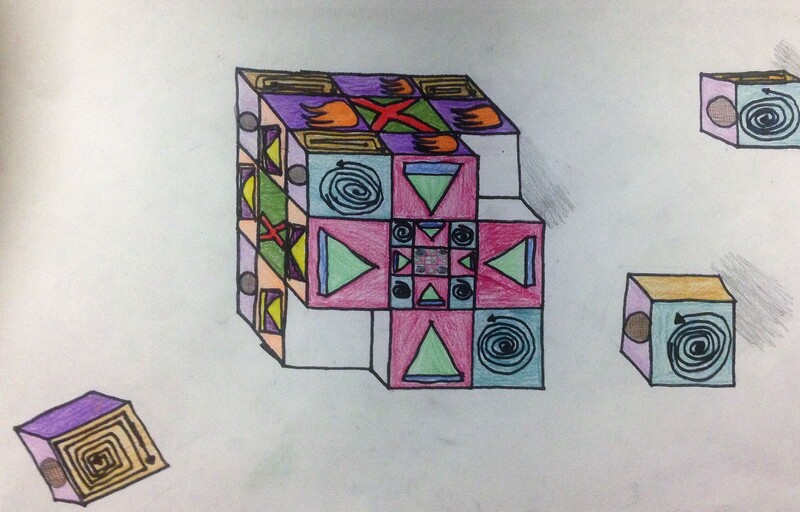 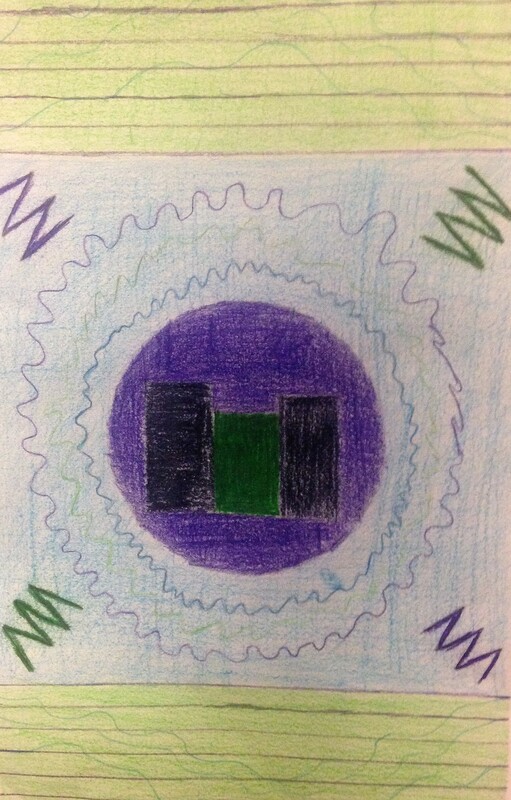 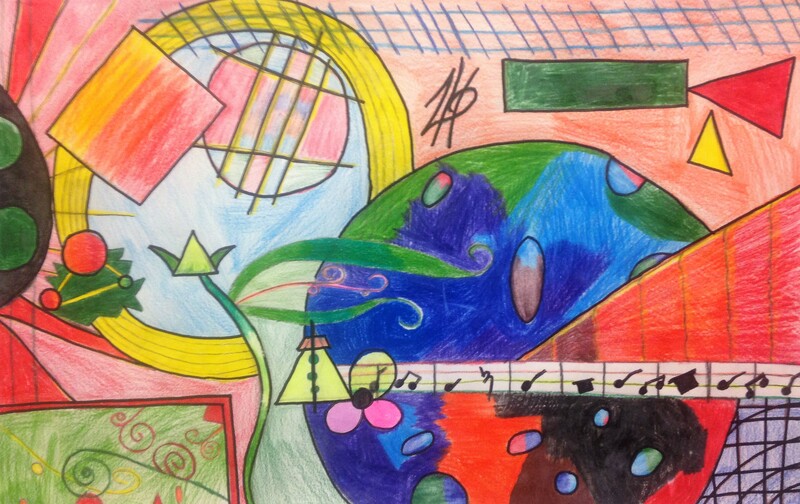 In this project, students were asked to choose a song, or sound clip, then use the elements of art and arrange the principals of design to create a visual composition representing their musical selection. 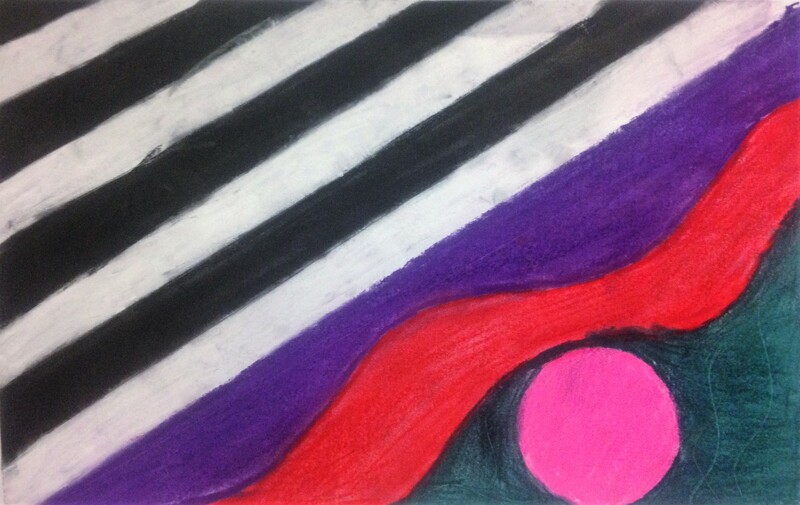 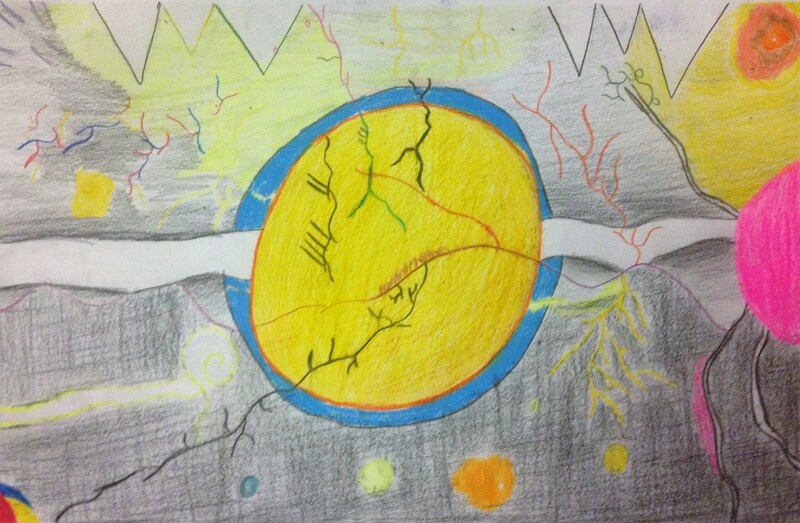 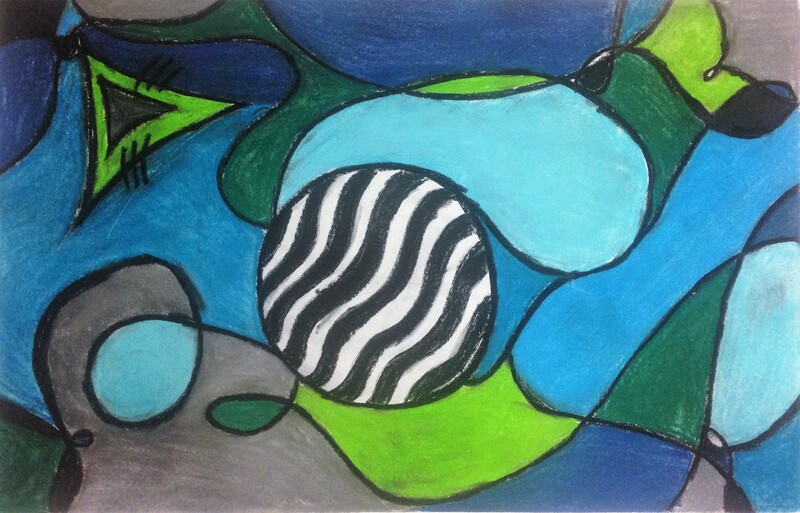 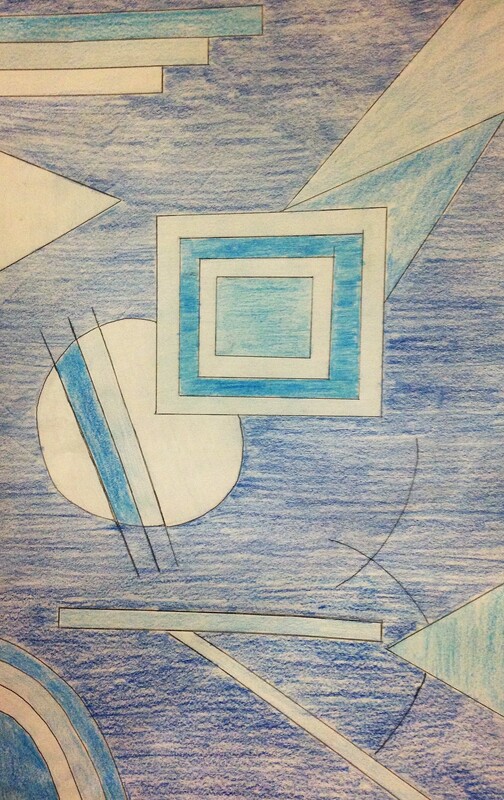 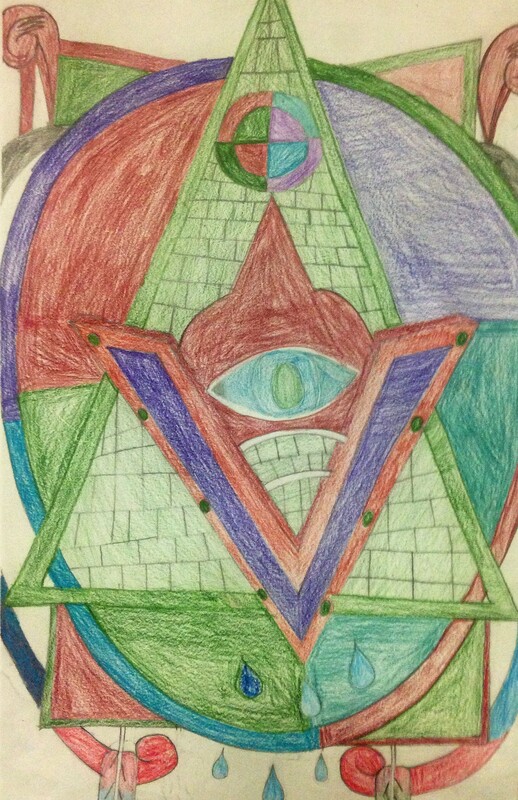 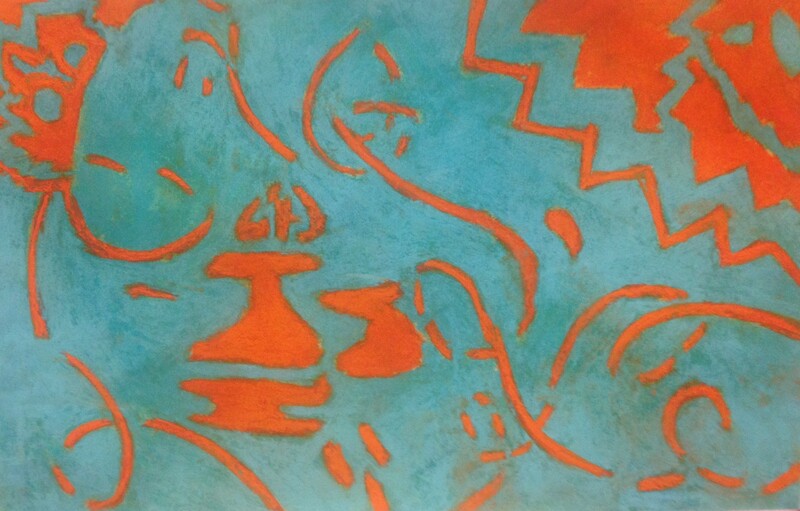 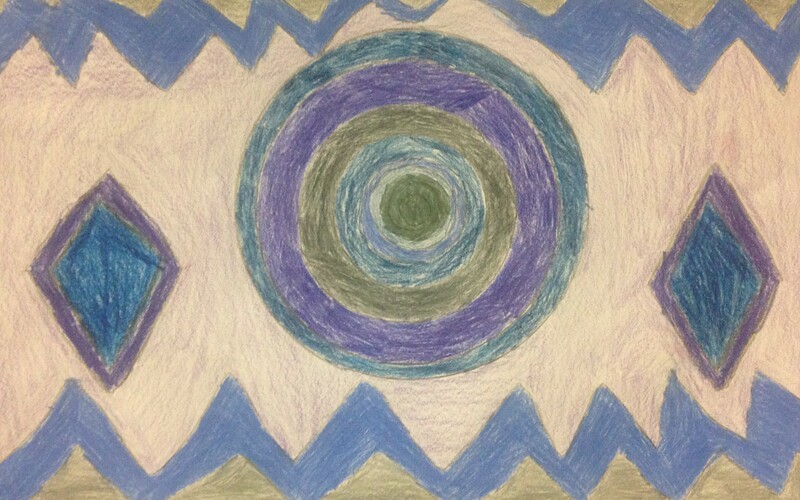 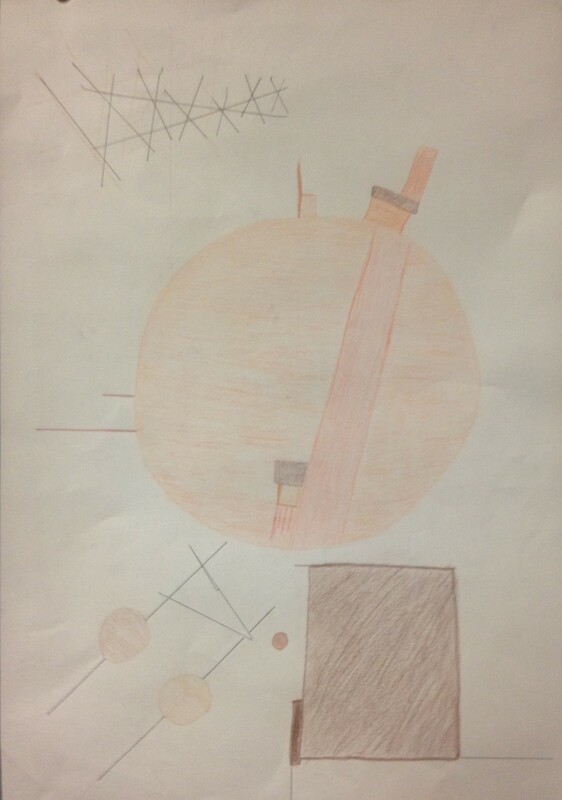 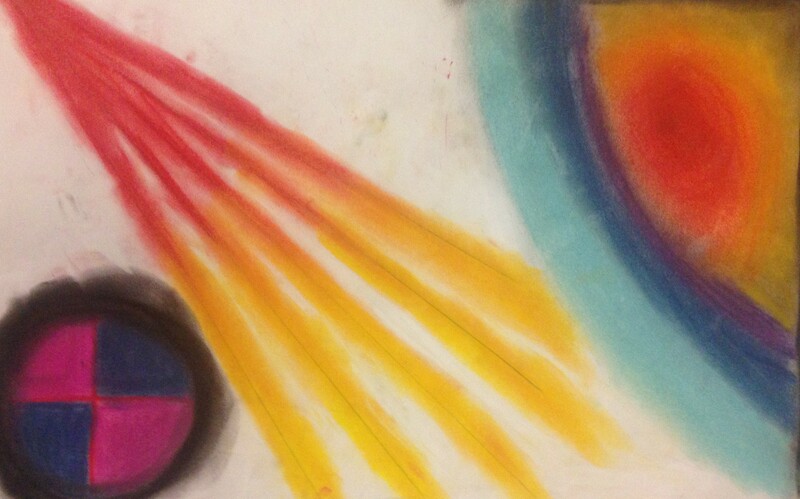 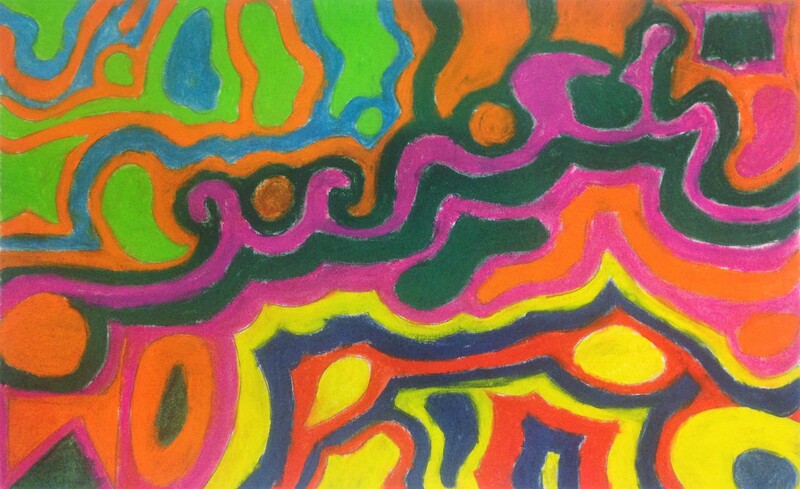 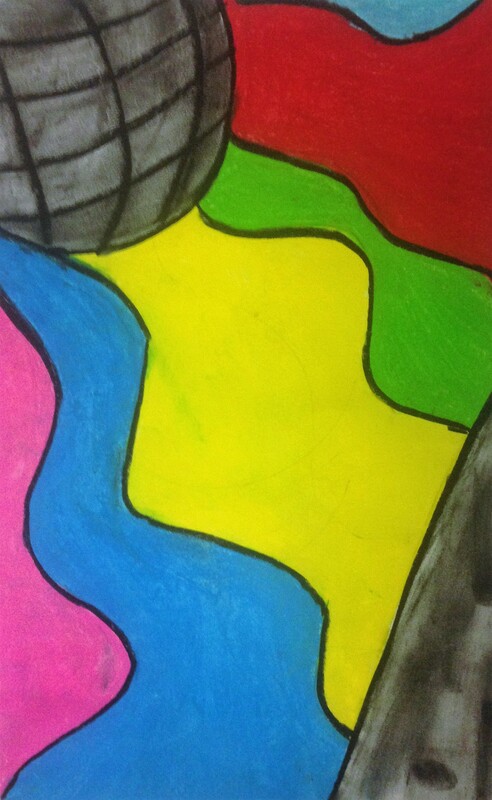 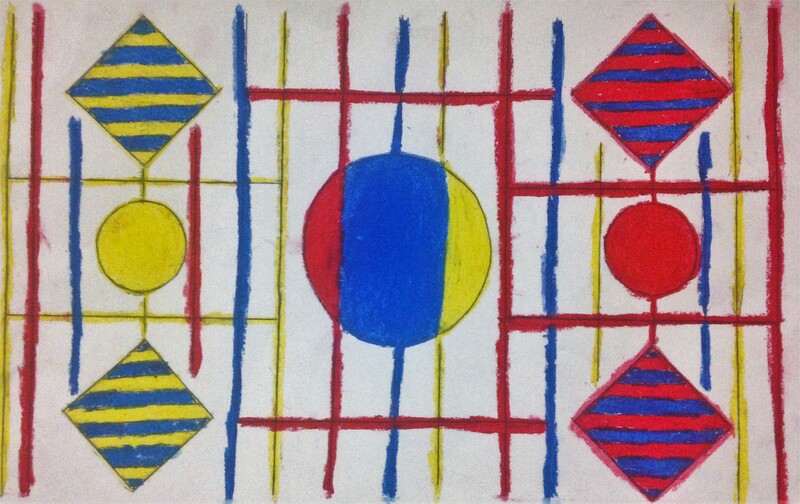 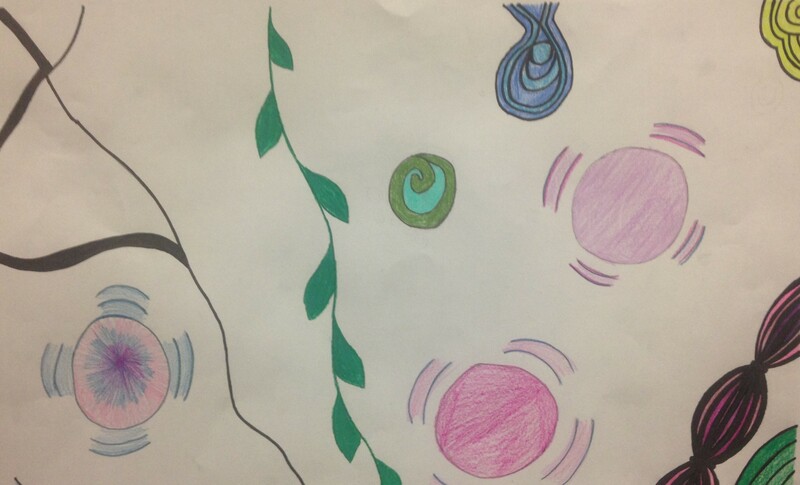 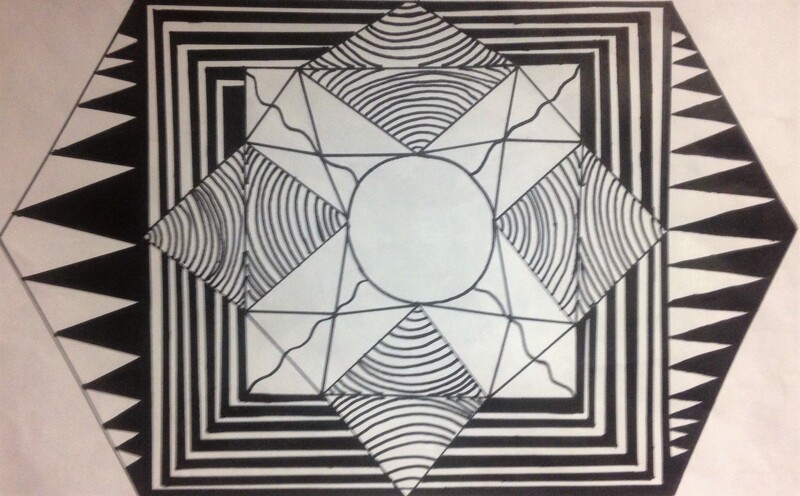 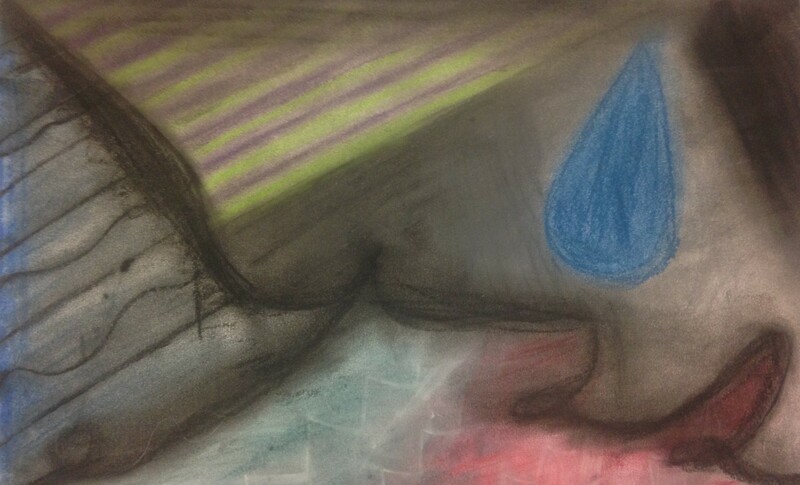 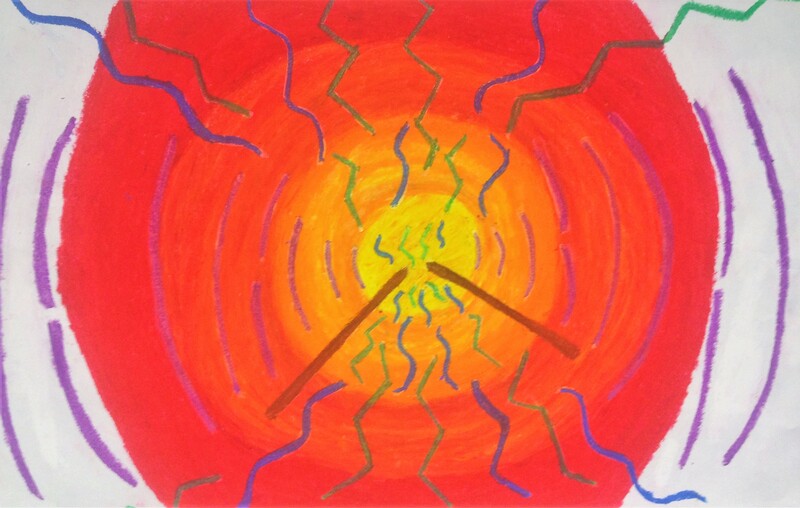 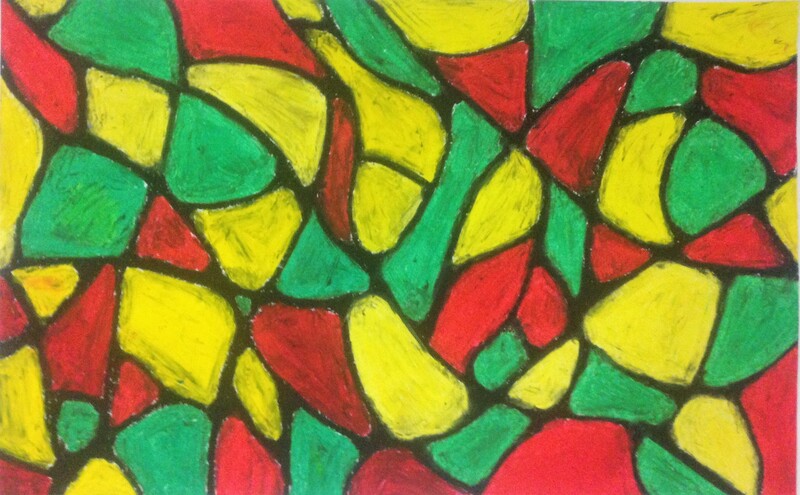 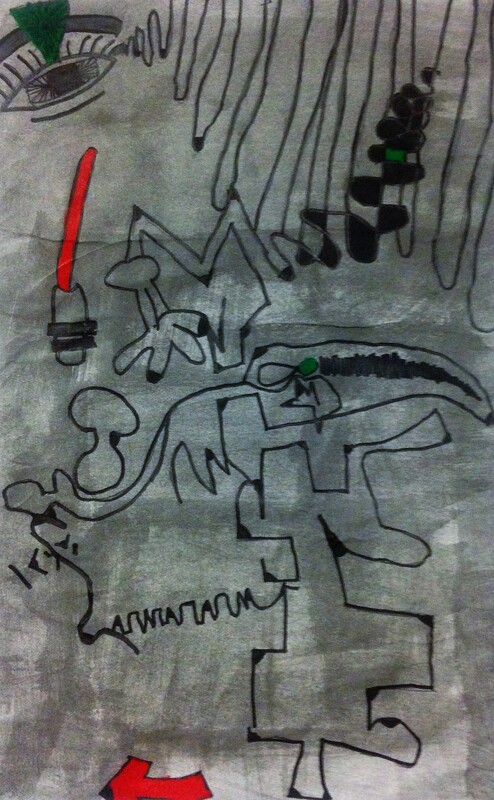 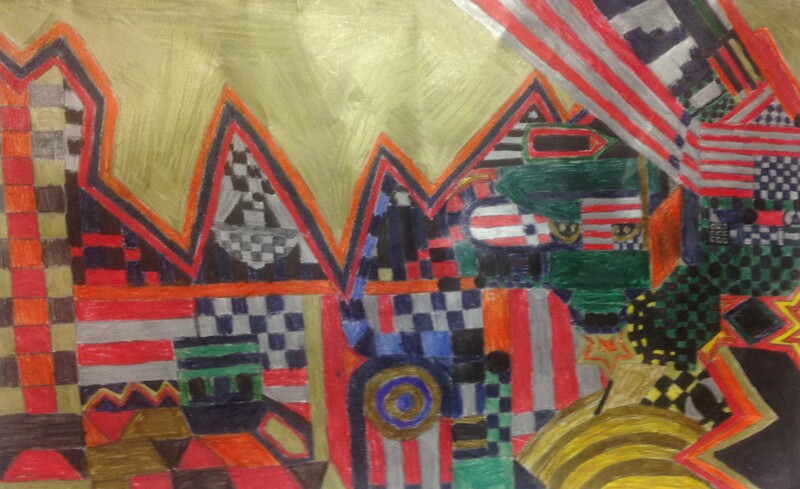 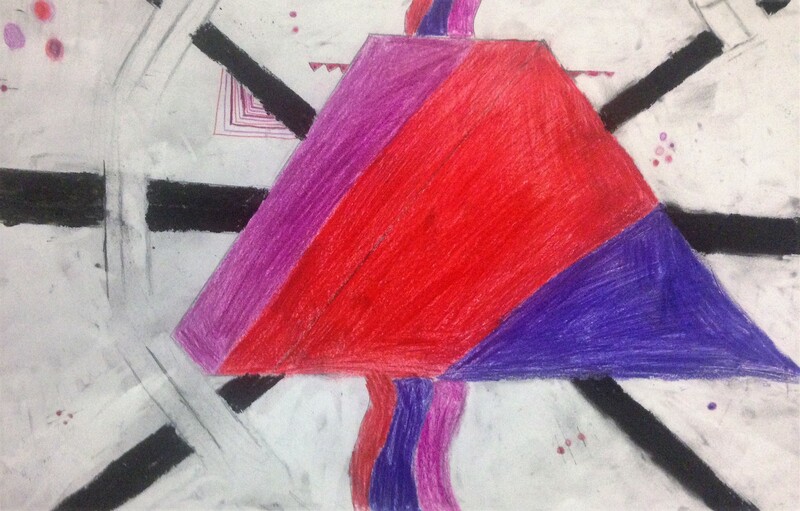 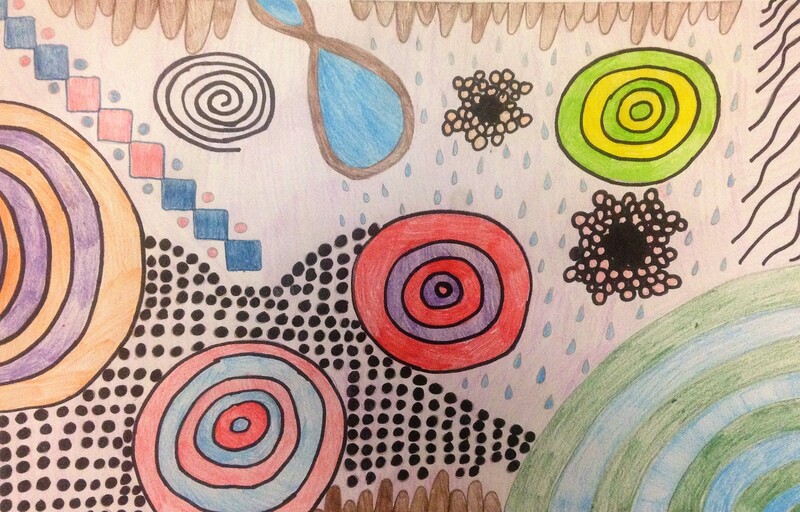 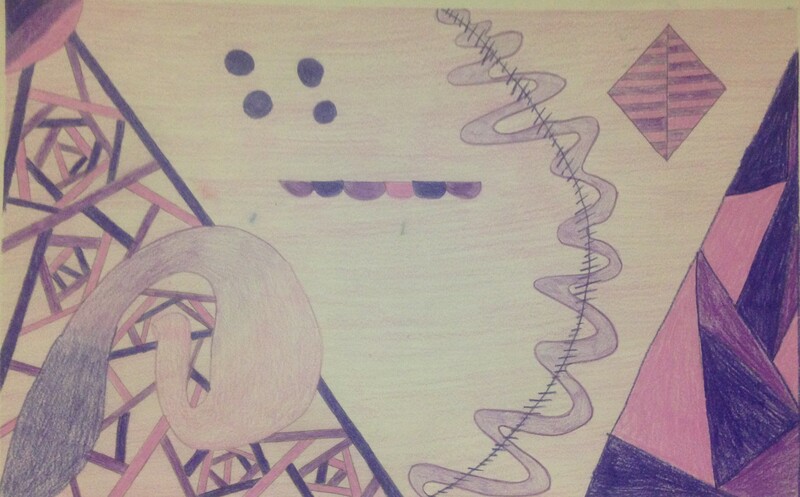 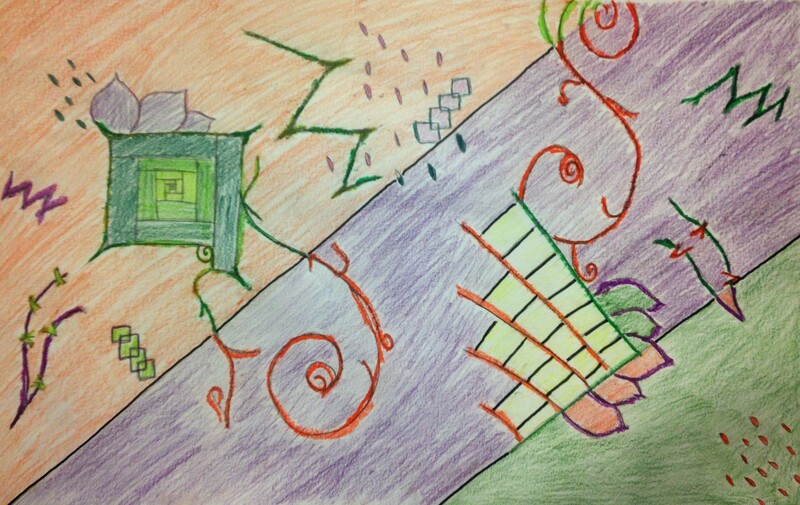 The students were expected to use art elements such as line, shape, and color, to develop their own visual language. 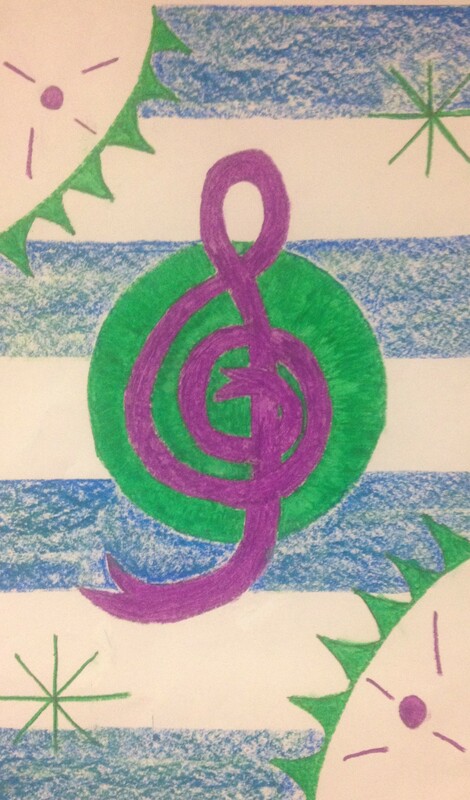 Each element becomes a symbol that describes some aspect of their song in an abstract, or non-objective, manner. 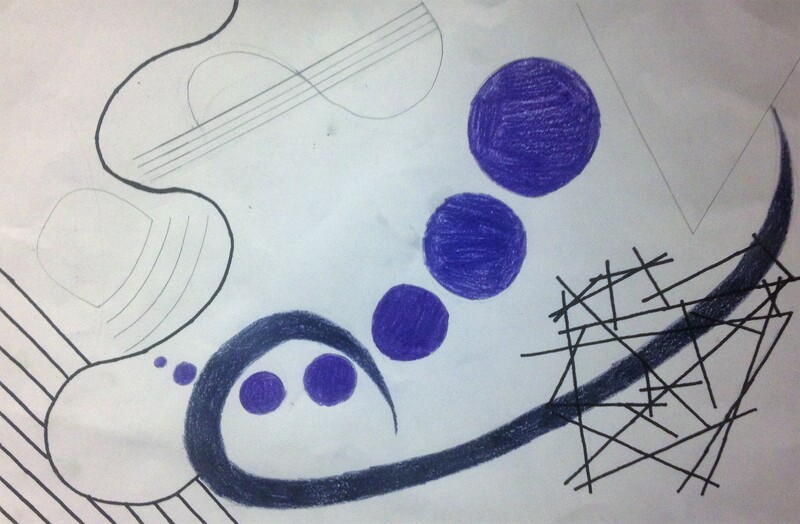 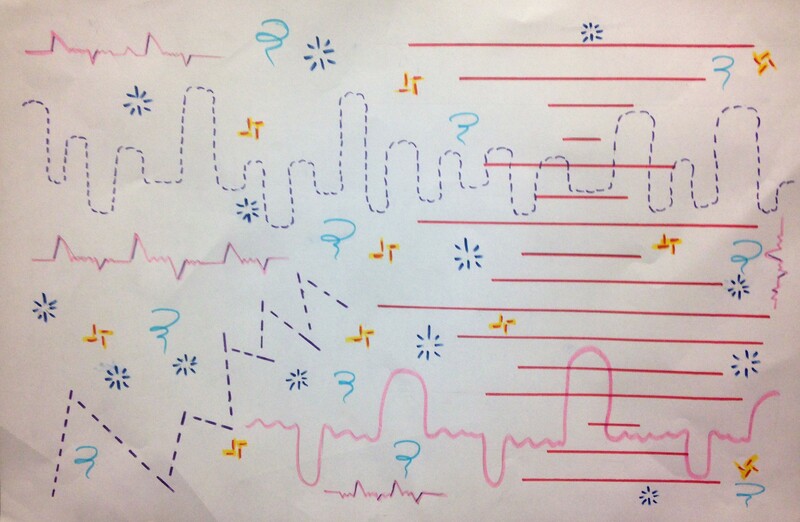 For example, a line could represent a guitar string, musical note, or reference sheet music. 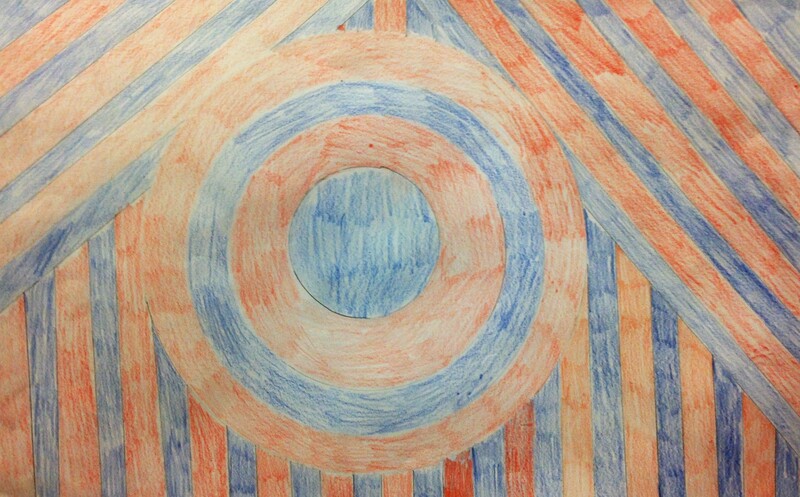 A circle could represent a pulsating beat, a cymbal, or a drum. 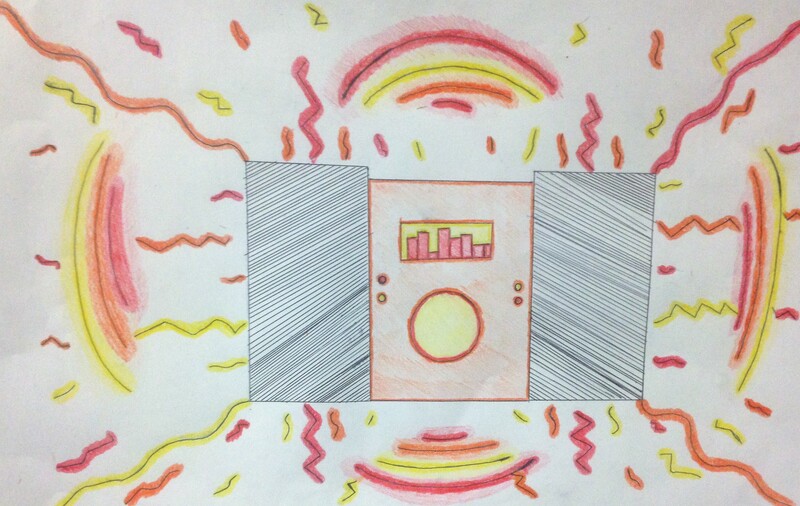 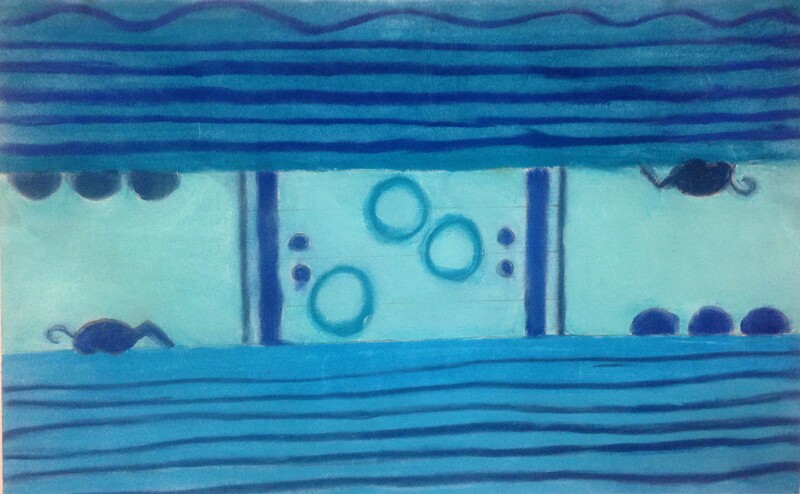 Color might represent the mood of the musical selection. 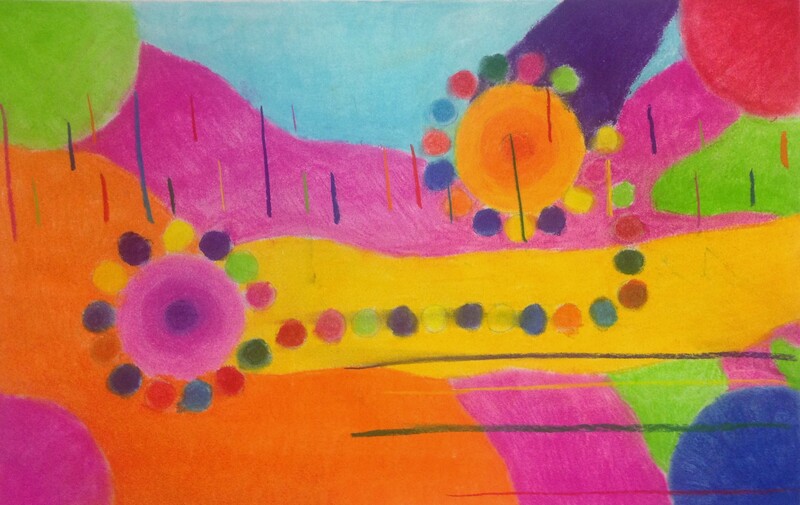 This project is inspired by the artwork of Wassily Kandinsky, who is believed to have a form of Synesthesia. 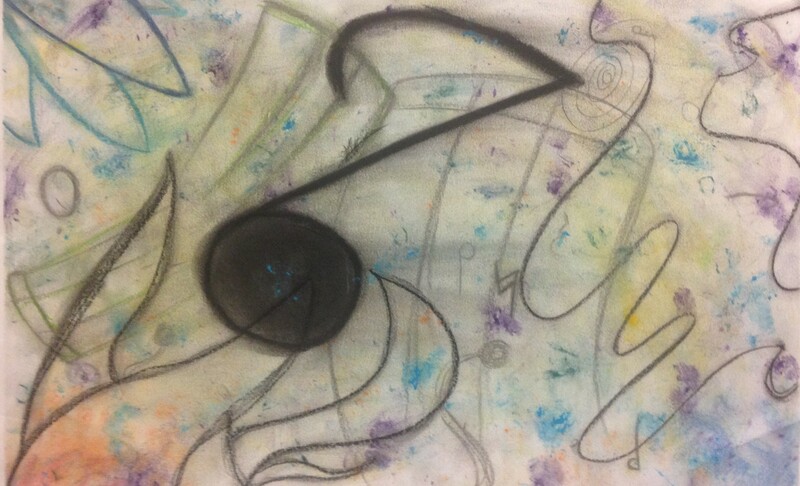 Synesthesia is a condition were an individual’s senses cross one another. 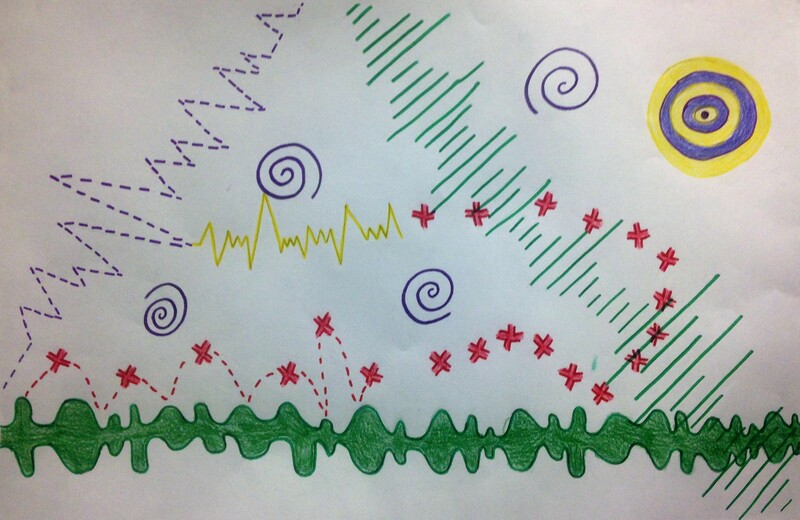 An individual with this condition might hear sounds and produce a mental image of colors they associate with that particular sound. 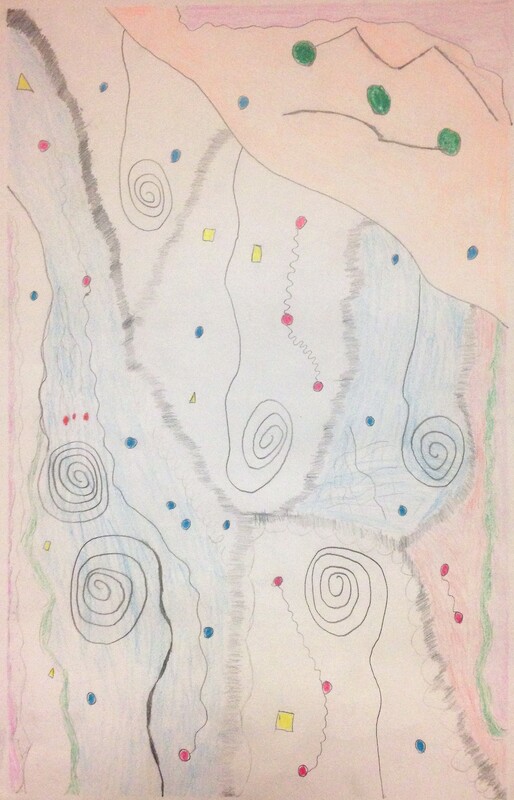 Kandinsky is believed to have created his artwork based on the mental images that were produced while sketching and listening to Schoenberg during his concerts. 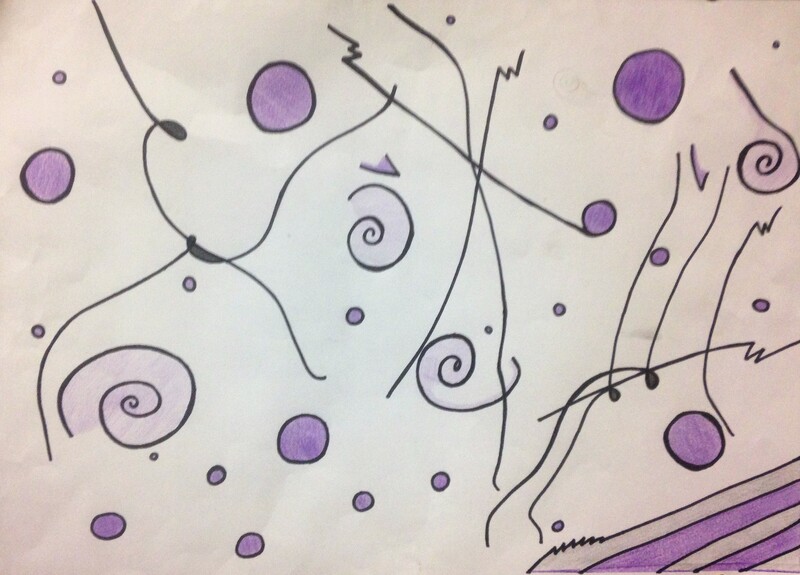 Kandinsky then took these sketches and mental imagery back to his studio where he created some of his most well know paintings. 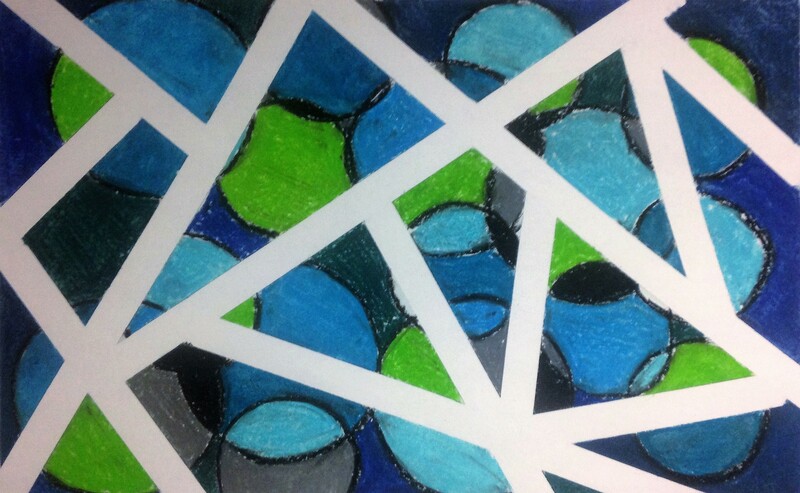 These series of paintings were all given a title of Composition ­­­­____.